Our ongoing work with adidas Originals always retains an element of history at its core. Whether it’s a legendary shoe in particular that we’ve chosen to bring back into the spotlight, a series with a strong cultural backstory, or a fan-favourite colourway, the legacy is always carefully considered. For our latest project with Die Drei Streifen, we’ve developed a new collection that encompasses several elements from the world of ‘terrace’ footwear. As we’ve made you well aware this year, the Gazelle hit the big five-o this year and has become a cultural mainstay in it’s many forms over those five decades. After bringing back what has been deemed as ‘the perfect Gazelle’ earlier in the year, adidas Originals recently upgraded the interior and lined it with innovative Gore-Tex membrane, a waterproofing method which keeps water out, but allows vapour to escape to provide ventilation. You could argue for days about the greatest collection ever released by adidas, but one choice we feel would be topping the list is undoubtedly the City Series. Chronicling selected cities throughout Europe (and later further afield as the Island series) each shoe had a characteristic of it’s own represented by a specific colourway. These colours have made their way onto a variety of different shoes since the 80’s, and this brings us up to date with this current project. 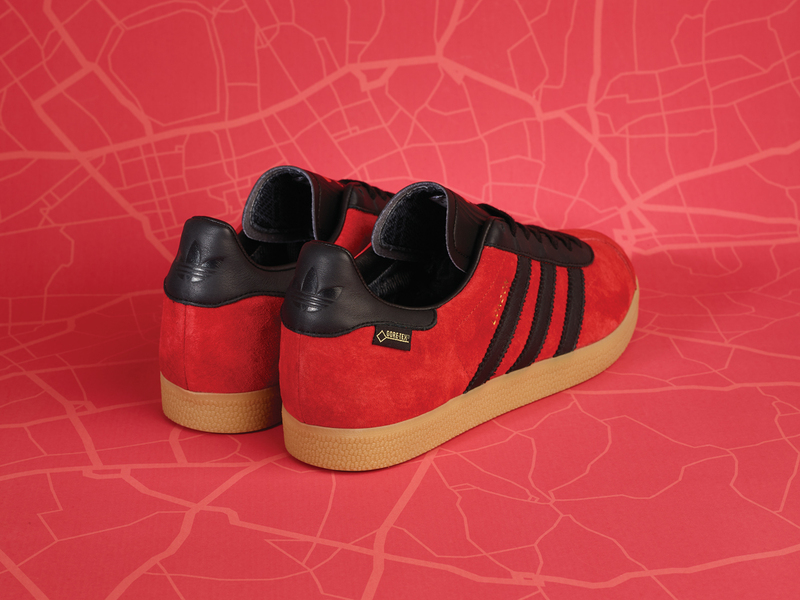 We’ve come together with adidas Originals to create a quartet of Gazelle GTX in four of the esteemed City Series colourways, each of which correlates with a city that’s home to one of our retail stores. 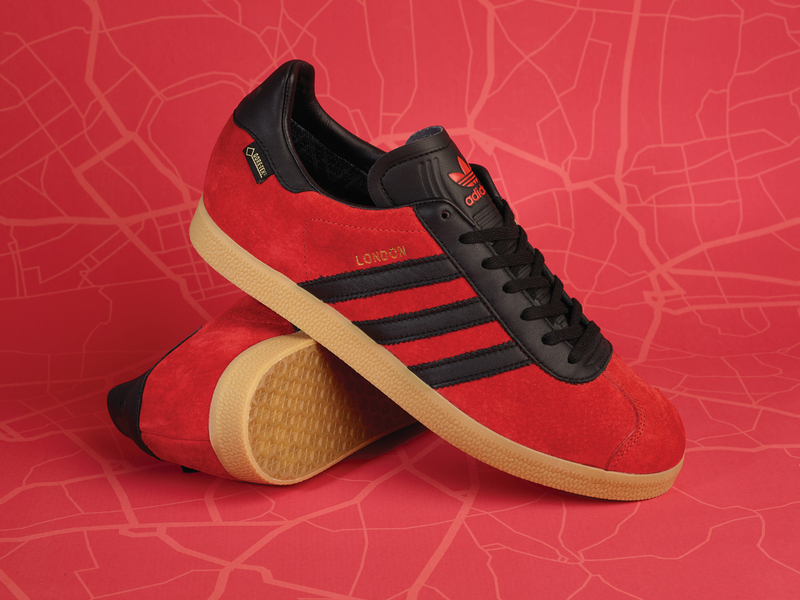 The first of the collection to release will be the vibrant red and black of the London. 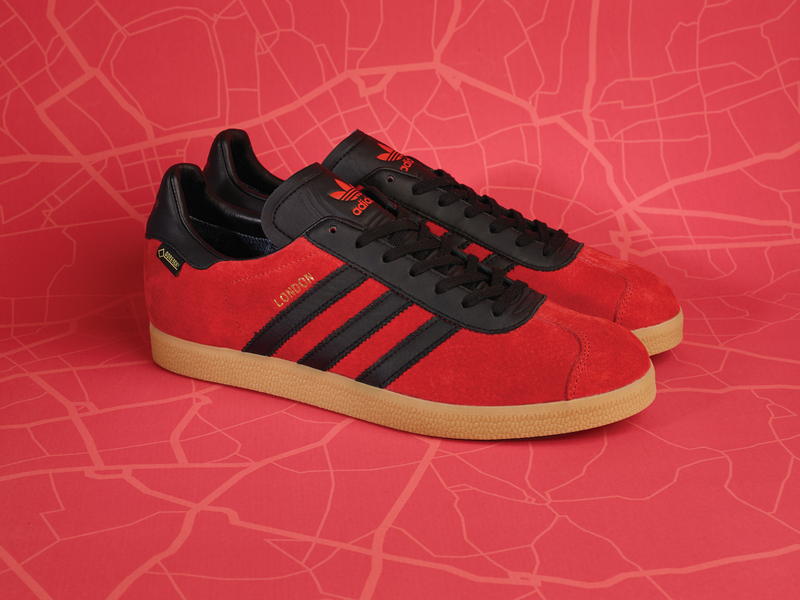 Dressed in a traditional pillar box red suede and overlaid with black leather side stripes, the palette has been carefully transferred over onto the Gazelle silhouette, panel by panel. As with traditional City Series releases, the location of choice has been branded onto the side in gold foil lettering. 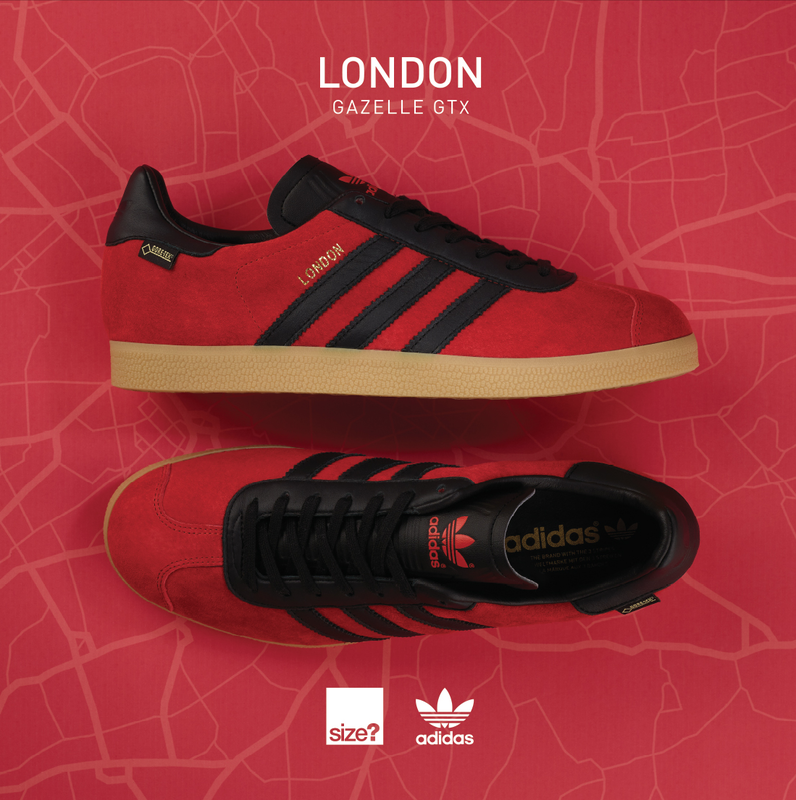 In addition, the first 50 customers to purchase the Gazelle GTX ‘London’ from our Carnaby St store Only will receive their pairs in a limited edition collectors box while stocks last. It will then see a wider release in all size? stores on Friday 2nd December from 08:00am local time. The online release will also take place on Friday 2nd December at 08:00am GMT, from a direct link posted on our Twitter HERE.